Harmonika is the Croatian word for accordion, a popular instrument in Istria. 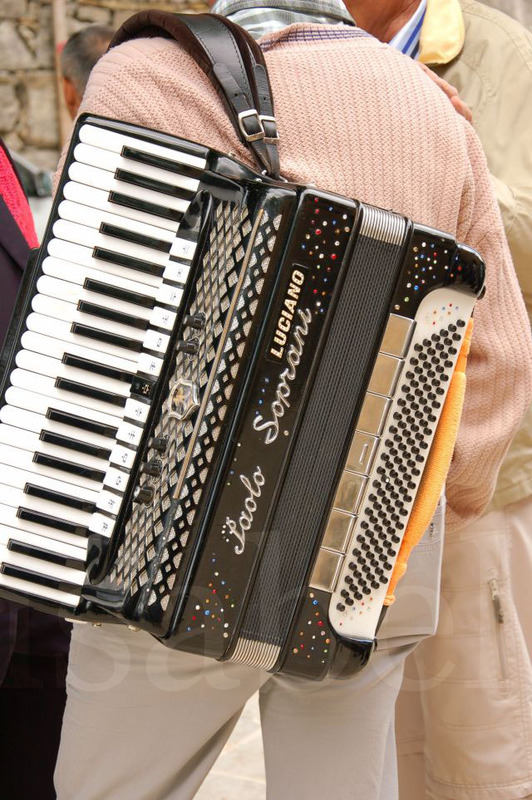 Every celebration includes the lively and joyful sounds of the accordion – which is often accompanied by singing. When I hear an accordion being played in the village, I know something's up: a wedding, a birth, or another cause for celebration. You may be wondering... if harmonika is the word for accordion, then what's a harmonica (or mouth organ) called? In Istrian dialect, it's organić, while the Croatian word is usna harmonika. The Histri were Istria's first inhabitants – they were an Illyrian tribe who lived on the peninsula around 1000 BC. This is how Istria got its name.